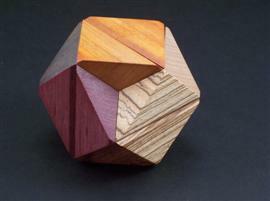 COMMENTS: The Seven Woods puzzle is number 42 in Stewart Coffin’s design listing. 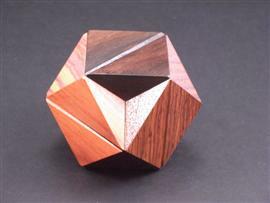 The puzzle is made of six identically shaped symmetrical pieces that assemble to form a shape of a cuboctahedron. Seven contrasting exotic woods are used to bring out additional beauty. 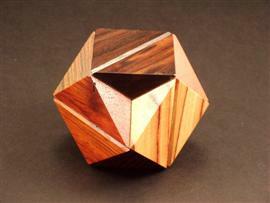 It is a fairly simple, enjoyable puzzle that displays very nicely.